This inspiring documentary chronicles the story of Mark, who lost his arm in a farming accident on Prince Edward Island at the age of seven. Now attending university, Mark looks back and explains what happened on the fateful day, and how his life was changed by the accident. 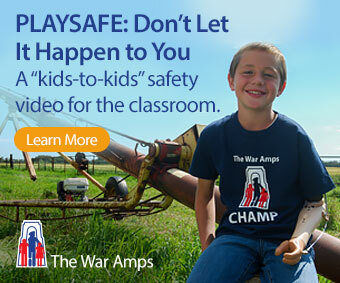 Soon after he became an amputee, Mark attended a War Amps Child Amputee Seminar which gave him hope for the future and inspired him to pursue his dreams. Despite the loss of his arm, Mark continued to excel at soccer, cycling and skiing, and he began competing in biathlon events. He also volunteered as a Safety Ambassador, working with children to raise awareness of safety issues. 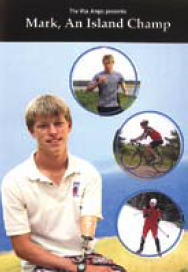 He now maintains that the loss of his arm has made him a stronger person and more determined to reach his life goals. This is a heartwarming portrait of a remarkable young man who has thrived with the support of a loving, close-knit family and community. This review is from Canadian Teacher Magazine’s November 2009 issue. Mending Mathematics: Will STEM Education Be Our Salvation?